DALLAS, TX (KTRK) -- Dallas was in shock and beset by uncertainty early Friday after gunmen shot and killed five police officers and wounded seven during a peaceful protest over fatal police shootings of black men in other states, police said, in bloodshed evoking the trauma of the nation's tumultuous civil rights era. 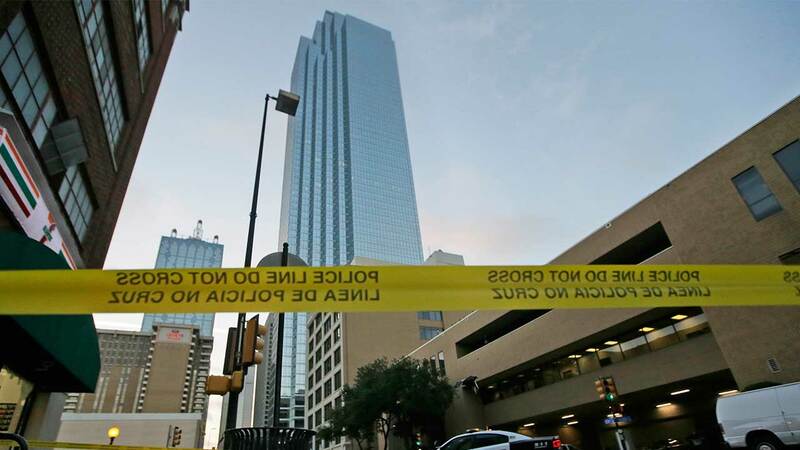 Police Chief David Brown blamed "snipers" and said three suspects were in custody while a fourth had exchanged gunfire with authorities in a parking garage downtown and told negotiators he intended to hurt more law enforcement officials. Brown also said the fourth suspect was upset about recent shootings and expressed his desire to kill white people. Multiple law enforcement officials tell ABC News the deceased sniper has been identified as Michael Xavier Johnson, 25. Search warrants are being executed now at the Johnson family home. "The suspect said he was upset about Black Lives Matter. He said he was upset about the recent shootings," Brown says. "The suspect said he was upset at white people. The suspect stated he wanted to kill white people and especially white officers." "The suspect stated (police officers) will eventually find the IEDs. The suspect stated he was not affiliated with any groups and he stated that he did this alone." Multiple shots were fired during a Black Lives Matter rally in Dallas on Thursday. Brown also said the alleged motive was not "a reason or legitimate reason to do harm to anyone." The incident marks the deadliest day for law enforcement since the September 11, 2001 terror attacks. It also drew a comparison with the November day in 1963 when a U.S. president was slaughtered by a sniper on a Dallas street only a few blocks away. "We don't exactly know the last moments of his death but explosives did blast him out," Rawlings told The Associated Press. He said police swept the area where the standoff took place and found no explosives.